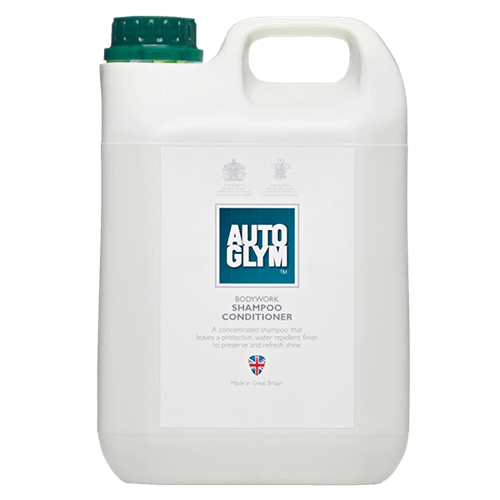 Autoglym Shampoo Conditioner 5 Litre is a wash and wax low foam neutral concentrate. 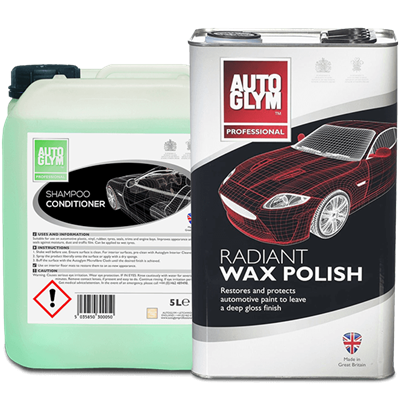 Cleans and imparts a glossy water-repellent finish to polished auto-paintwork. For hand use, high-pressure washers or automatic brush washers. Follow with clean water rinse. SHAKE WELL Add 1part concentrate to approximately 200 parts water (1 to 2 caps per bucket). 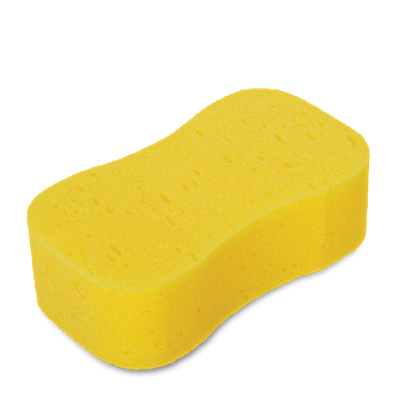 Sponge clean and rinse thoroughly with clean water. Adjust metering device to 0.5% - 1.5%. Follow with clean water rinse. AFTER USE: Clean windows with Glass / Window Cleaner. 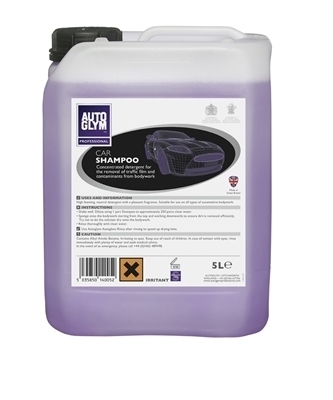 Autoglym Car Shampoo 5L & 25L is a concentrated neutral detergent.